If you live in any of these communities and need to replace your windows or doors, Renewal by Andersen of St. Louis has you covered. We’ve worked in these communities since we started in this business, and we know what it takes to meet and exceed the expectations of local homeowners. 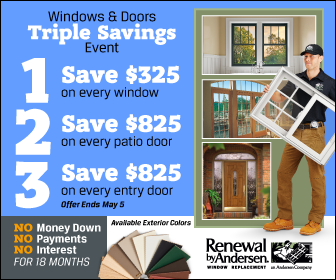 To learn more about Renewal by Andersen windows, St. Louis residents and residents of the surrounding communities can call (314) 332-2364 or fill out our Request an Estimate form to schedule a FREE in-home consultation.